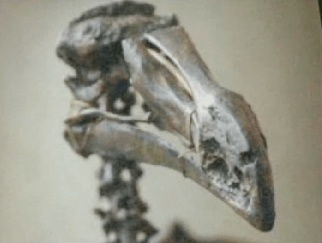 Wouldn’t it be great if I had my own dodo skeleton? 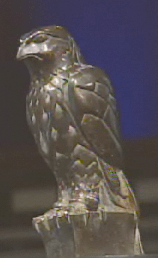 …..and my own Maltese Falcon while I’m at it? I’m paraphrasing the kind of utterances of Adam Savage (of MythBusters fame) on a mesmerising video you can watch here. I’d never heard of FORA.tv until a friend of mine, @bb42, tweeted me a few days ago and *told* me I was going to *love* the video. Bill, you were right. For the rest of you, particularly those who are obsessive, those who understand obsession, those that are closet obsessives, I’d recommend your giving up seventeen minutes of your time. It’s worth it. And suddenly I don’t feel like *such* an oddball for desperately wanting to own a Ferranti Pegasus valve (or in the USA, “tube”) mainframe (http://is.gd/eg3x), a stationary/mill steam engine from the Industrial Revolution, and to one day build my own valve (or transistor, if I wimp-out) computer from scratch. For admirable computing obsessions check-out the home-made CPU ‘Magic 1’: http://is.gd/eg4K and John Pultorak’s 4 year mission to build a working replica of the Apollo Guidance Computer (http://is.gd/egzr) from patchy specifications and ~4000 discrete logic chips.